GMDT are very pleased to signal the start of new station business ventures. 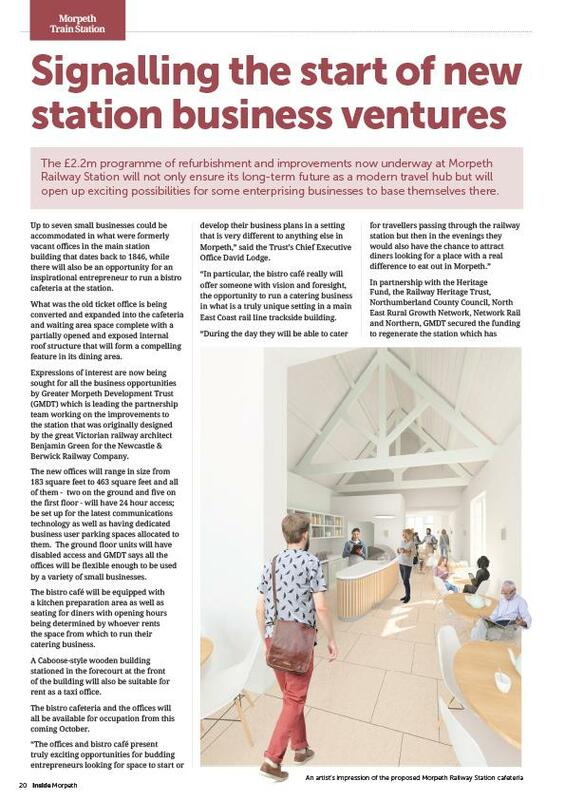 The £2.2m programme of refurbishment and improvements now underway at Morpeth Railway Station will not only ensure its long-term future as a modern travel hub, but will open up exciting possibilities for some enterprising businesses to base themselves there. 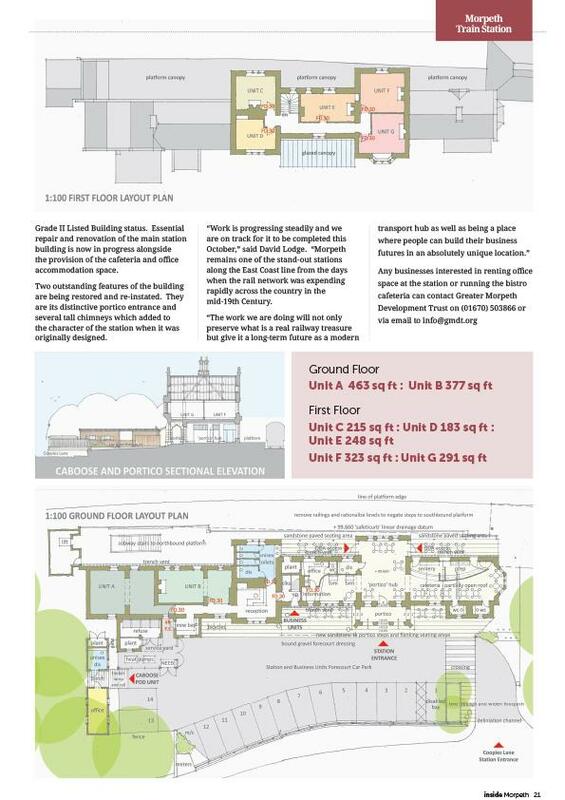 Up to 7 small businesses could be accommodated in what were formerly vacant offices in the main station building that dates back to 1846, while there will also be an opportunity for an inspirational entrepreneur to run a bistro cafeteria at the railway station too.